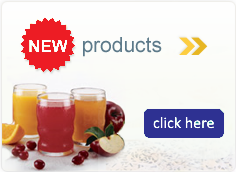 Prosource ZAC Liquid Protein, Berry Punch is formulated for the advanced treatment of wounds. Oral: Use Prosource® ZAC Liquid Protein as a med pass directly from the bottle or add it to all types of beverages, soups, hot and cold foods and purees. Tube Feeding: Dilute with 30 mL of water. Infuse via syringe down feeding tube. Flush with 15-30mL of water before and after administration. Medical food to be used under supervision of a qualified medical specialist. Shelf Life: Shelf Stable 18months. Do not refrigerate. Discard three months after opening. 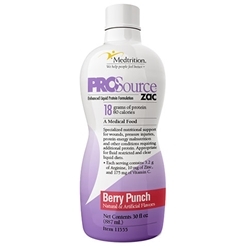 Prosource™ ZAC - 1/30 fl.oz. Prosource™ ZAC - 4/30 fl.oz.